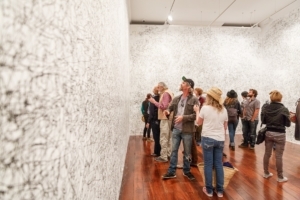 Fremantle Arts Centre welcomes exhibition proposals from individual artists, groups of artists and organisations. FAC will consider gallery-based, off-site and online projects. Proposals that address FAC’s distinctive site or engage with the City of Fremantle Collection are particularly welcome. Proposals may be submitted at any time throughout the year. They are formally assessed twice a year following the deadlines of 1 February and 1 August. Please post proposals. FAC does not accept emailed proposals. a non-returnable USB of images. Detailed information to accompany the images is essential. FAC pays artist fees and other project costs associated with our exhibitions. When work is sold at the exhibition, FAC takes a commission and administers the sale(s). For more information please email Dr Ric Spencer, Curator at [email protected].